It's a solar system, but Armageddon Energy's system is built like something you'd find at Ikea called a "Snarvik." 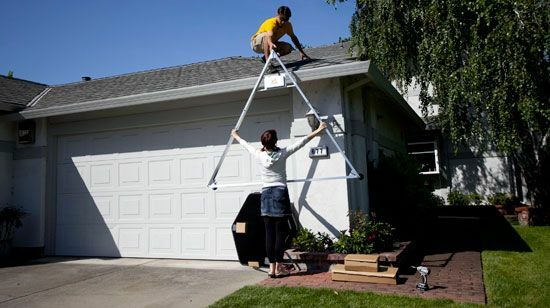 Armageddon Energy has devised a framing system and a lightweight solar panel that, effectively, can go straight from a few cardboard boxes to your roof. It's sort of like assembling furniture from Ikea for your living room. A single solar "clover" from Armageddon consists of a triangular frame, a micro-inverter and three lightweight silicon hexagonal solar panels. A single can put out 400 watts. A few Tab As into Slot Bs and it's complete. Three of the systems on one roof can provide a house with a kilowatt of power, says Armageddon CEO Mark Goldman. 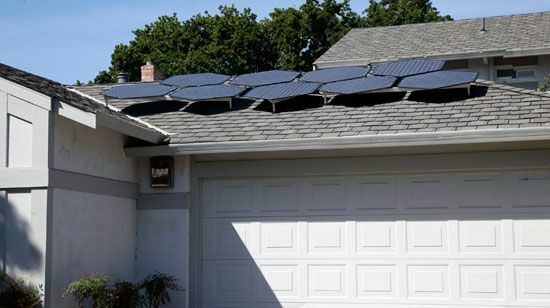 The clovers still have to be secured to the roof, angled toward the sun and plugged into the electrical system – which works best when handled by professionals – but much of the grunt work associated with conventional solar systems is already done. As a result of pre-fabbing, the cost of an Armageddon system will be lower, Goldman asserted. A household system built around its clovers will deliver power for $6 a watt when the company starts shipping them in commercial volumes a little over a year from now, he said. (Beta systems will cost about $10 a watt.) At $6, that's $1 less per watt than conventional household systems today, once it gets into manufacturing. "The total is six grand [for a clover] but the target is less than that," he said. Setting up a clover "takes a few minutes," he added. The clovers are also lightweight. 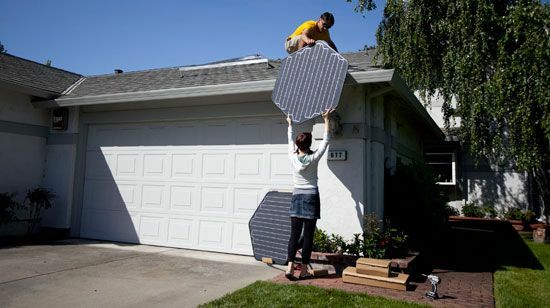 A single hexagonal solar panel weighs around 10 to 12 pounds. A conventional silicon solar panel might weigh 40 pounds. Lower weight means cheaper shipping, lower carbon taxes (where applicable) and a more rapid install. Solar appliances like Armageddon's clover constitute a fringe of a sliver of the solar market today, but interest is growing. Unlike standard solar modules, solar appliances are complete systems and tend to be differentiated by how they are packaged and the functions they perform, rather than any particular nuance in the solar cell itself. Chromasun, for instance, has devised a rooftop device that creates electricity to PV cells but also provides heat (via solar thermal collectors) to compressors in a building's air conditioner system. SDFs has an all-in-one solar thermal/PV panel/skylight device. 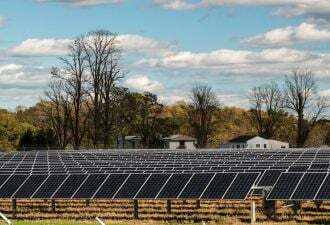 Ideally, solar appliances will more tightly fit customer needs, reduce resistance to adoption, and cut the costs of installation, while at the same time reducing a manufacturer's risk to declining module prices. A BMW, after all, is from a functional standpoint just a car, says Goldman. "That's when you put on your marketing hat," he adds. And installation costs could stand some trimming. 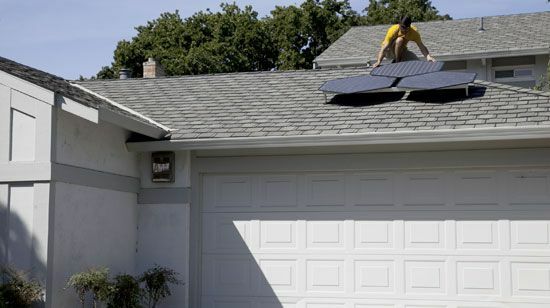 Installation still accounts for around 30 percent to nearly 50 percent of the cost of a solar system. 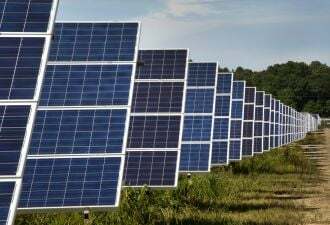 Over the past three decades, the vast majority of research in the industry has focused on increasing the efficiency of solar cells and reducing the amount of raw material required for solar cells. The hexagonal panels weigh less than conventional panels because the cells are encased in a Teflon coating from DuPont rather than glass. A thin-film coating will likely raise eyebrows among installers and consumers. Testing is underway. 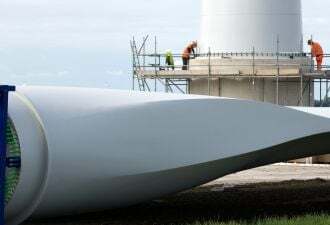 Goldman projects that the coatings will last for 20 years, but initially it will likely only offer a ten-year warranty. And what is with the hexagonal shape? It is more efficient. They examined several shapes. Circles tend to be strong, but contain a lot of wasted space. Rectangles are, by their nature, off-balance. Hexagons are inherently strong and efficient. 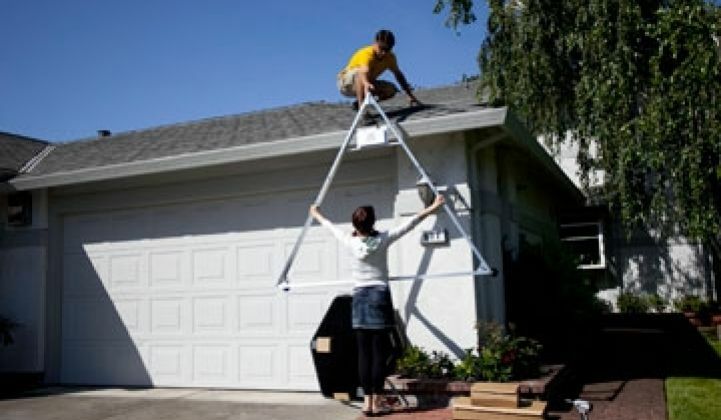 Hexagonal solar panels means the company can also use triangular racks, and triangles tend to be fairly stable. One of the company's investors, ironically, is a great grandson of Buckminster Fuller, who championed hexagons and three-wheeled vehicles.
" 'You don't have to sell me on hexagons,' he said," Goldman recalled. But Armageddon isn't imminent. The company, however, only recently completed its first prototypes and is working on a larger beta round of devices for further testing. The photo gallery below shows, respectively, hexagonal panels going up on a roof, the triangular rack, a single clover and a 1-kilowatt system. Join industry leaders and influencers at Greentech Media's Concentrating Solar Technologies & Markets at Intersolar in Munich, Germany on May 29.